Oh snap, Apple’s getting into gaming. 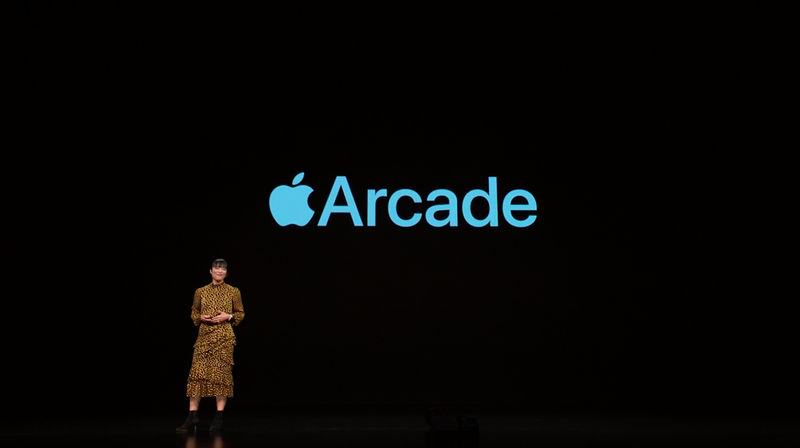 Smashed in alongside announcements about updates to Apple News and a new payment system and Apple credit card, Apple also shared info on a new service to help people more easily discover new games: Apple Arcade. The subscription service will launch with more than 100 exclusive titles, but we still don’t know what it will cost you. The current problem for games on the App Store is just the sheer amount of games, something that makes a lot of unique and creative games hard to find among the sea of free-to-play titles. So with Apple Arcade, Apple is giving users access to games outside the mainstream fare and using part of the money from the subscriptions to help fund the developers who made them. However, unlike Apple News, Apple Arcade isn’t a dedicated app. Instead, you’ll find the Arcade within a new tab inside the App Store. On top of that, all Apple Arcade games will be all-you-can play, which means you get all future content and DLC for the same monthly price, and since all Apple Arcade games will be available offline, you’ll still have access to them when you want to game in places with limited cellular service, like a plane or subways. You’ll also be able to play them across multiple devices, including the iPhone, iPad, Mac, and Apple TV. And you’ll be able to pick up where you’ve left off in a game when switching to a different device. Notable new Apple Arcade games include a new Sonic the Hedgehog game and a reinvented version of Frogger. The service itself will also feature games from Annapurna Interactive, Bossa Studios, Cartoon Network, Finji, Giant Squid, Klei Entertainment, Konami, Lego, MIstwalker Corporation, Sega, Snowman, ustwo games, and others. It’ll also feature 100 new and original games, including some from creators like Hironobu Sakaguchi, Ken Wong, and Will Wright. Apple Arcade will be available this fall with over 100 different games, though, as mentioned, Apple isn’t quite ready to share how much a subscription will cost quite yet. Still, the company says there won’t be any ads or additional purchases. That means all game features and future updates will be included. If this thing’s a hit, we hope to see fewer developers going for the freemium cash grabs.